328 Support Services, which provides support to the world’s fleet of some 200 Dornier 328 twin-engine turboprops and jets, is showcasing this week at the Farnborough Airshow its conversions of the aircraft, as seen in an example on display at the show. The fast, highly versatile platform can be purposed as a cost-effective civil transport, military special operations aircraft, medevac, cargo hauler or for other utility missions, 328 Support said. The interior of the aircraft that 328 Support has on display has been artfully reconfigured to show several of these mission capabilities within one fuselage. Garry Brown, a specialist aviation consultant with 328 Support, said the company can source in-service Dornier 328s for customers, complete the conversion—including zero time engines—and deliver the aircraft at a cost of between $7 million to $9 million for the turboprop version. 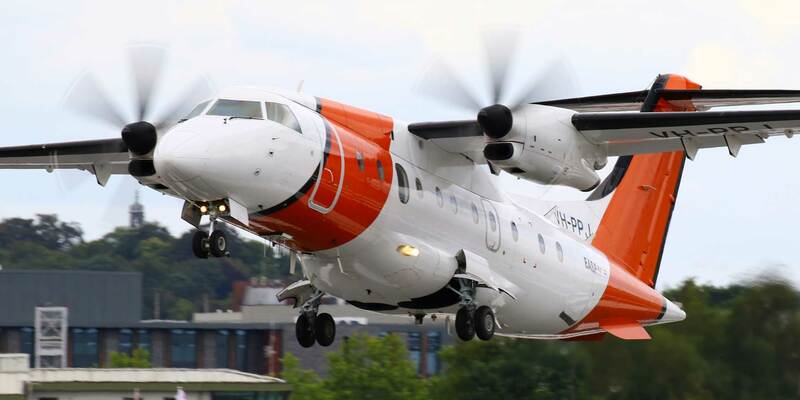 An AeroRescue Dornier 328-100 operated by Australia’s Coast Guard is participating in the daily Farnborough 2018 aerial display, giving visitors a glimpse of its performance and maneuverability. With their low cost, high performance and versatility, Brown said interest in refurbished platforms is growing. “What’s not to like?,” he asked. The German company (Chalet B14, Outside Exhibit 35), a subsidiary of U.S.-based Sierra Nevada Corp., has been attempting to relaunch production. An MoU signed in 2015 with the Transportation Ministry of Turkey for that purpose was canceled in 2017, but plans to build a new, stretch version of the 328 in Germany appear on track, Brown said.